Greyhart author, Gill Shutt was recently interviewed by an underwater creature at Squid Inc. Sounds dangerous but she gave a good account of herself, which you can read here. 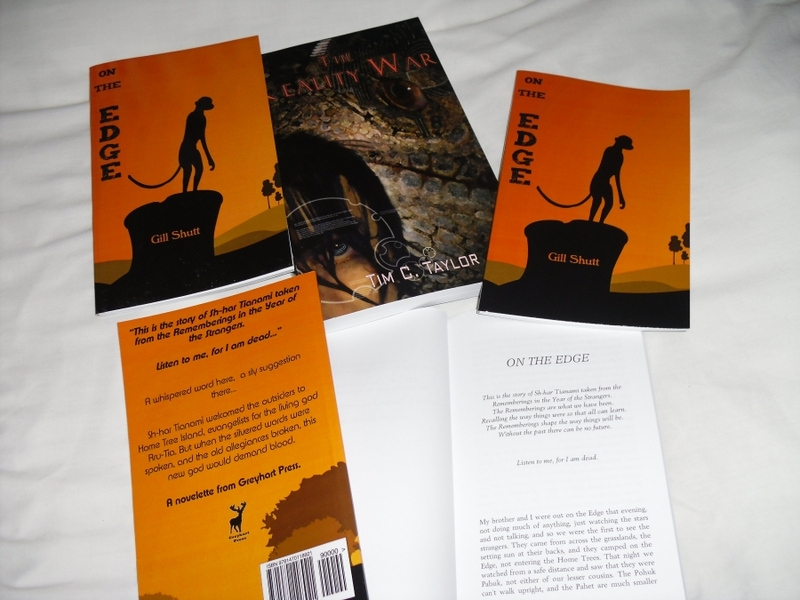 Find out why One the Edge is like ‘Jane Goodall writes fantasy’. In other Gill news, proof copies of the paperback edition of Legends of Light were ordered today. There’s plenty more to come from Gill in 2012. This entry was posted in Uncategorized and tagged author, books, Gill Shutt, Legends of Light, on the edge, writing. Bookmark the permalink.